The first survey of IkamvaYouth’s alumni was conducted. 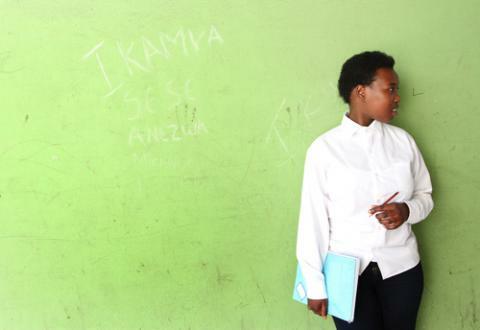 The findings were more encouraging than we could have hoped: IkamvaYouth learners are almost half as likely to drop out of tertiary studies, four times more likely to graduate and are three times less likely to not be in education or employment than the average South African young person. IkamvaYouth WON the Stars Award which exists to reward outstanding local organisations improving the lives of children in Africa, Asia and the Middle East. IkamvaYouth WON in the category of Education in Africa and the Middle East. Thank you for taking the future into your hands, and to holding ours. Let’s keep reaching for the stars together. The Ivory Park branch team is very excited and motivated after securing a new tutoring venue and office at Kaalfontein Secondary School. 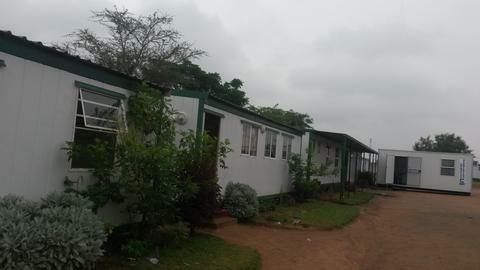 Venue instability has threatened the branch’s existence for very long, following a short notice eviction from the Ivory Park Youth Centre in December 2013. This was due to political controversies raised by the Greater Midrand Youth Council (GMYC) management committee leading to imposition of threats that could compromise the safety and security of IkamvaYouth staff, volunteers and learners. The branch was then temporarily housed at the Ivory Park Community Stadium where space issues were still not entirely solved as learners were studying crowded in a very small hall that was also shared with Churches. 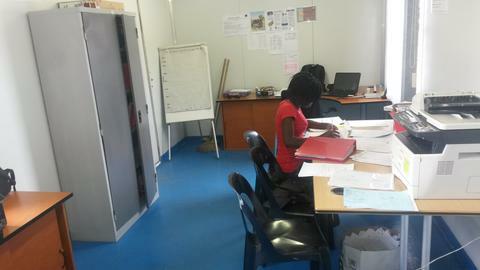 The Ivory Park branch staff was also temporarily accommodated at the Ebony Park branch in a small and unsafe office. The staff would travel to the tutoring venue for every tutoring sessions. The conditions at the stadium did not allow learners to makeup days or come study at any times as tutoring was restricted to only 3 days a week as per the agreed MOU. 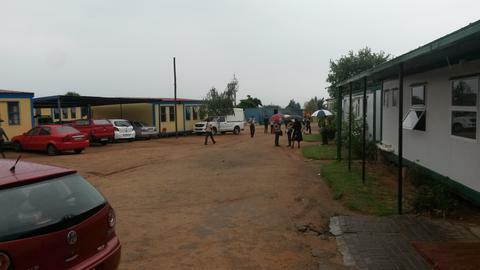 The venue also made it difficult for staff to invite or meet with stakeholders as well as to track, meet and help the grade 12 learners with applications. Learners could not benefit from resources like photocopying, internet and full support from staff due to these conditions. 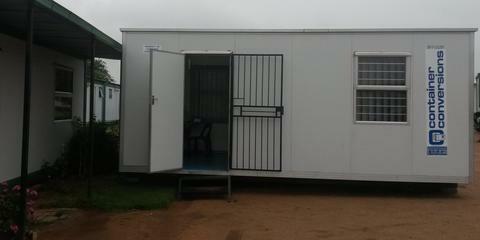 Moving to Kaalfontein Secondary and securing enough space for tutoring and office has opened up unlimited opportunities that include opening up of a computer lab that will benefit Ikamvanites and the school from 2015. Communicating and meeting stakeholders would be more convenient, all learners will benefit from the programme equally, being able to access the required support to ensure improved pass marks and success at matric level, and recruiting and retaining volunteers would be manageable with a stable venue. I would like to acknowledge the interventions made by our stakeholders, to mention Kaalfontein School Principal and the SGB, TziChi as well as the IkamvaYouth team for playing a significant role in making this venue possible despite all challenges faced. SAP sabbatical team zone in! 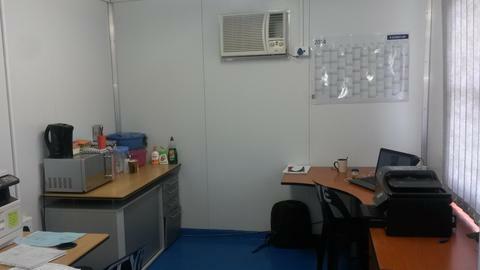 One small step for IkamvaYouth, one giant leap for Vision 2030! A month ago IY was joined by three employees from SAP an international software solutions company. They were on a social sabbatical with IkamvaYouth and had accepted the mission of restructuring and revolutionising the Ikamvanite Zone. I can safely say mission accomplished! It is hard to arrive in a strange country, be introduced to a team of people, dumped in an office, and be given a task with a vague objective and set of deliverables, in a context you don’t understand. Yet the SAP rose to the challenge! It is also hard for an organisation to welcome a team, determine what they are able to do and then direct them effectively to do this within a short time period. Yet IY rose to the challenge! This month has been a true reminder that collaboration can be a beautiful way to work. The SAP team brought with them their exceptional knowledge of software applications, technology, data analysis, design thinking, marketing, and web development. Without which the Zone redesign could not have been realised. However, without IkamvaYouth’s depth of contextual understanding the SAP team would not have been able to apply their expertise. Such an understanding is invaluable, but often taken for granted. Within this short time they were able to conduct a design thinking workshop to determine the users and roles on the Zone, create a detailed website specification document, build a Drupal 7 back-ended prototype, create a comprehensive project plan going forward and put in place a go to market communication plan. Just a few bits and pieces! Although there is a lot of work still to be done. 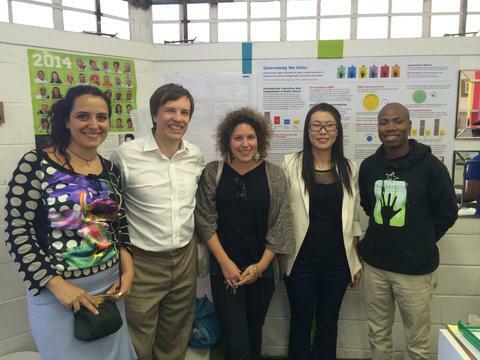 I am grateful for the SAP team for progressing IkamvaYouth further towards the realisation of the Zone. The vision of the site is to create an online resource hub and learning environment to inspire, enable and support individuals, organisations, learners, volunteers and IY staff to take the future into their own hands and make Vision 2030 a reality. The new website will be launched at the beginning of next year – watch this space!